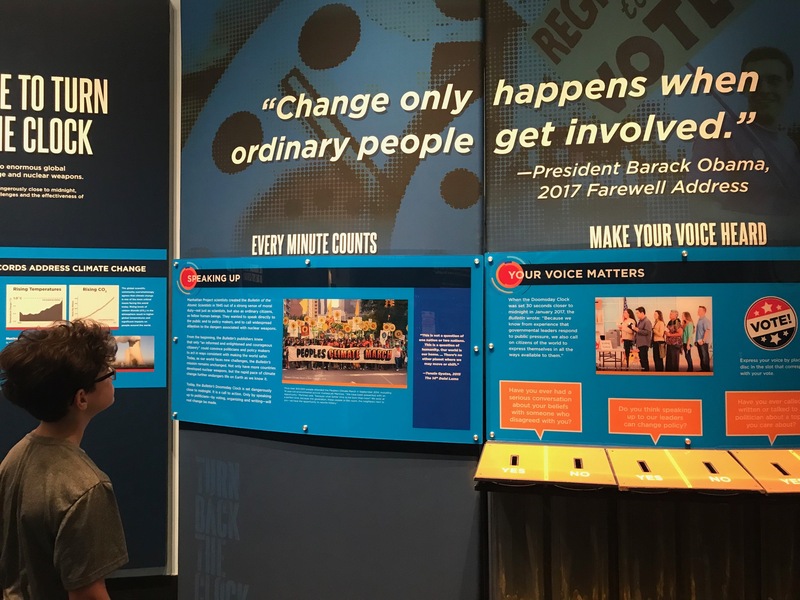 Museum of Science and Industry with my 5th grader searching for ways to inspire him… Turned the corner and found this exhibit on democracy – stumbled upon my own inspiration! What a great quote. When I read it, I can almost hear Obama’s voice in that sentence. Does anyone else miss having a president that strives to give flight to our better angels?